‘Conservation framing’ is a term used to describe the use of materials and techniques used to provide protection to an artwork, and the avoidance of practices that will damage the look and value of a work. We always use the correct materials, such as acid free mount card and specialist tape. We always make sure the framing process is fully reversible, meaning the picture or object can be removed at a later date undamaged. We NEVER trim or fold a picture to fit in a frame unless discussed and agreed upon with the customer. When framing objects, we NEVER use adhesives to fix items to mounts. We NEVER flatten a picture by means of sticking down onto a board unless discussed and agree upon with the customer. Why is it important to frame work to conservation standards? Yellowing and discolouration of the paper from using mountboard that is not acid free. This is commonly seen on old works on paper, and it is advisable to consider re-mounting in a new acid free mount to prevent further damage. Damage to the picture from using permanent, non-specialist tapes such as sellotape or masking tape. Moisture damage to the picture from touching the glass. 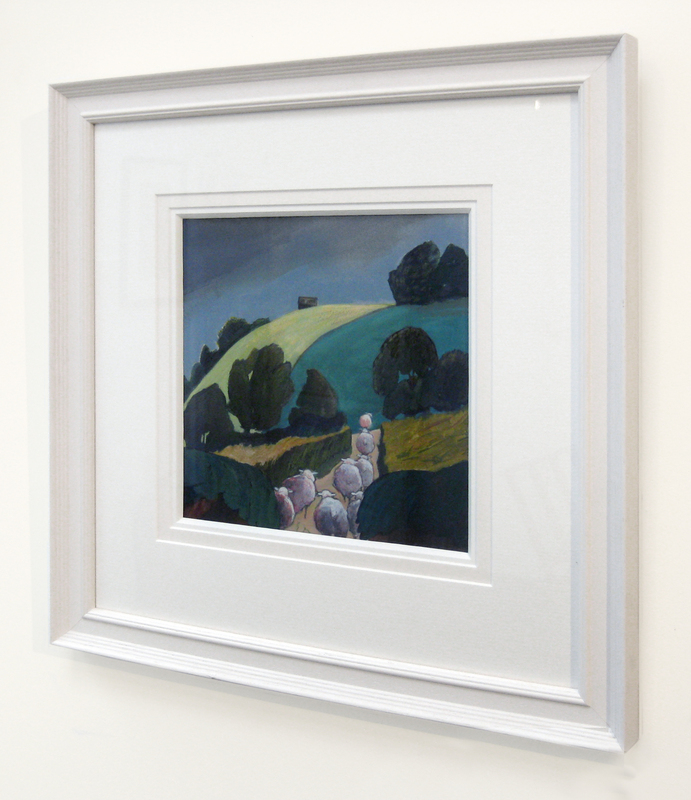 We always frame works on paper with a mount, or spacers between the glass and picture to allow air circulation. Damage from use of adhesives to stick the picture to a board. I am not sure how I would like my picture framed, can you give me advice? Absolutely! You are welcome to visit us in our Minehead gallery, no appointment necessary or contact us and we will be happy to help. We know that choosing framing can be overwhelming with all the possibilities on offer, that’s why we are always happy to use our experience to suggest a framing solution that will bring the best out of your picture or object. 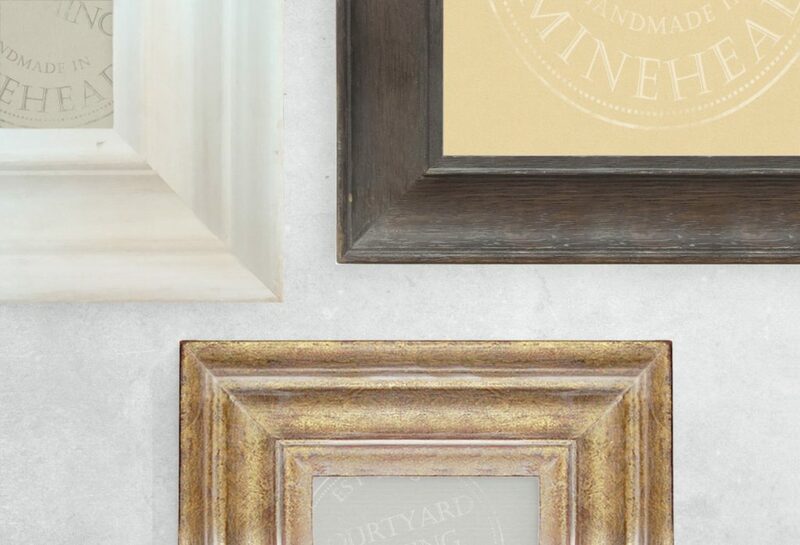 If you are not sure what style of frame you prefer, for example traditional or contemporary, it can help to think about the style of the room the frame will hang in, or the style of other framed pictures in your house. You can also browse the fantastic original artwork and prints in our gallery space to see what we can do and get ideas! Where is the best place to hang a picture? Is it in direct sunlight? UV light causes works on paper to fade, with watercolours being particularly susceptible, and modern reproduction prints and oil and acrylic paintings being less so. If you have a high value or precious work that you would like to protect from fading consider hanging it out of direct sunlight, or framing it with a UV protection specialist glass. Is it humid or damp? Paper is susceptible to absorbing moisture from its surroundings, and hanging a picture on a damp wall can cause condensation inside the frame. Pictures that have been exposed to moisture can buckle and warp, or become discoloured. Is the temperature consistent? As well as moisture, paper is sensitive to heat, and could buckle or warp if hung above a heat source such as a radiator. There are no hard and fast rules as to whether a picture will deteriorate when hung in a particular spot- the best thing to do is to keep and eye on any changes to the paper. How much does it cost to have a picture framed? 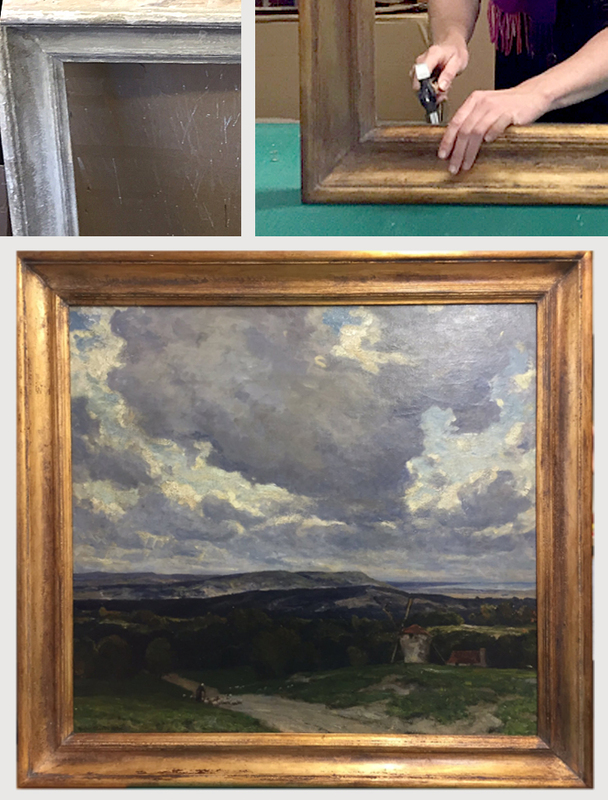 It’s difficult to give an estimate, as the price will depend upon the frame you use, the size of the picture, the medium of the picture and it’s conservation needs. We stock over 300 mouldings, with options to suit every budget! The best thing to do is to visit or contact us for a no obligation quote. Can I get a picture remounted but re-use the frame it’s already in? Yes! Getting a picture re-mounted can be a fantastic budget friendly way to conserve and bring out the beauty in a picture. I have a framed picture with broken glass, can you re-glaze it for me? Yes, we can re-glaze frames with our standard glass, or any glass from our range of specialist glass which includes UV protective glass, low reflection glass and shatterproof acrylic. Are all of your frames wood or are they plastic / MDF? 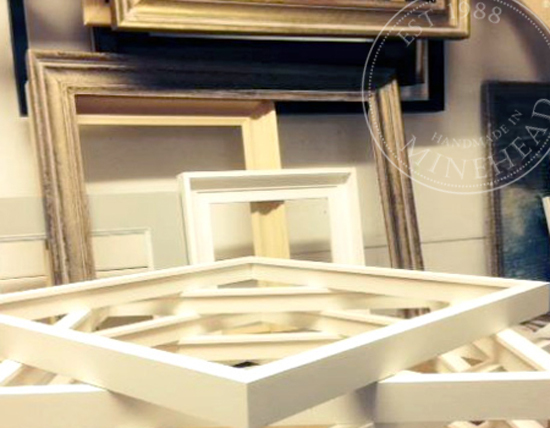 We only use wood mouldings, as we find they create the most durable and beautiful frames to conserve your work. We are also aware of the importance of sustainability, using FSC certified (Forest Stewardship Council®) suppliers to ensure the timber comes from an environmentally friendly source. Can you framed objects, such as medals and items of clothing? We always love the challenge of creating the perfect frame for an object, and recent projects have included a ceramic poppy, and oboe and a wedding dress! 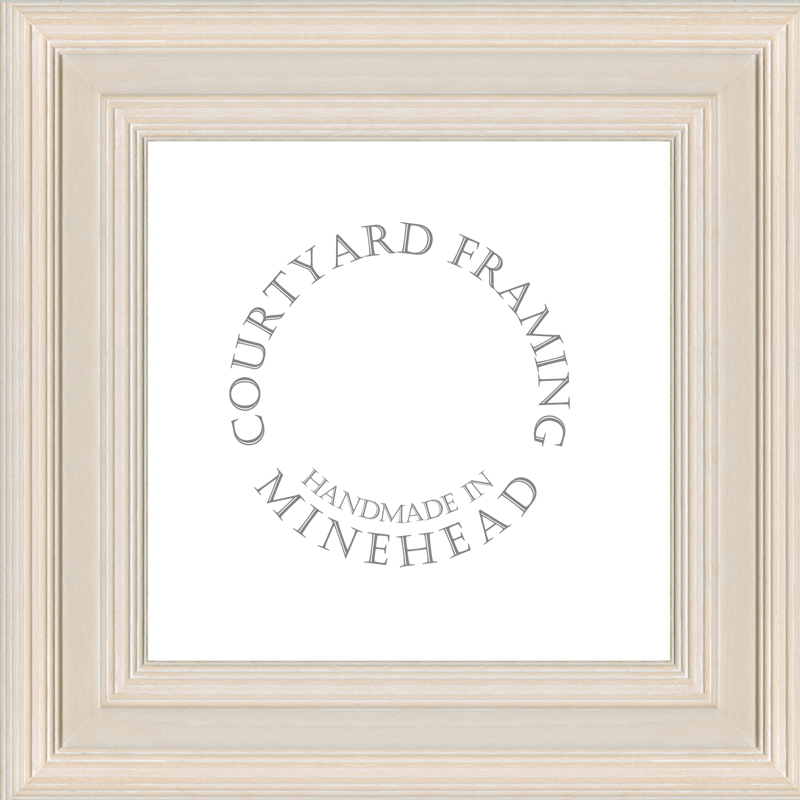 You can find out more about framing objects here. Do you do trade/bulk orders? Absolutely! We are experienced at working with businesses as well as individual artists in both Framing and giclée printing. If you would like to discuss a trade inquiry, contact us by email or telephone. 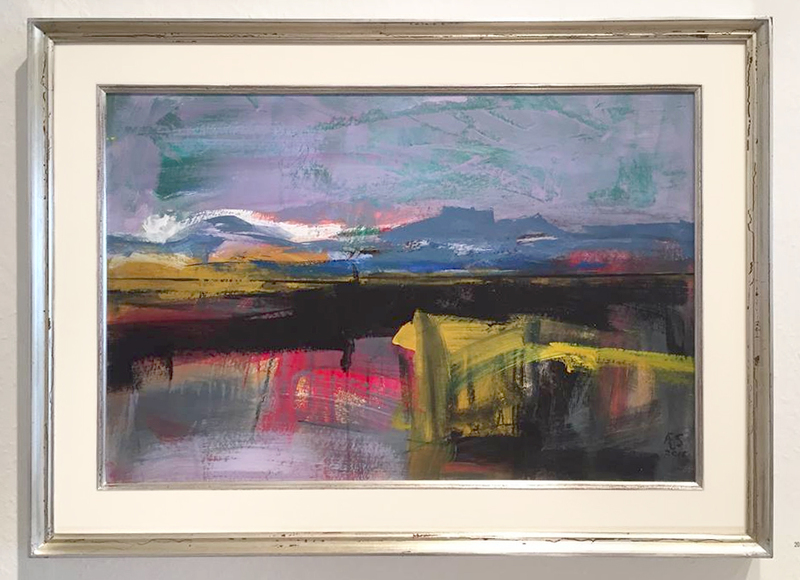 This painting has been triple mounted to create depth and echo the profile of the frame. Original painting by Sue Onley.